Andrew E. Coursen, P.E., P.L.S. Andrew Coursen, PE & PLS manages the survey and computer aided design and drafting department with responsibility for Churchill’s surveying procedures, survey data accuracy, work management, and deliverables. 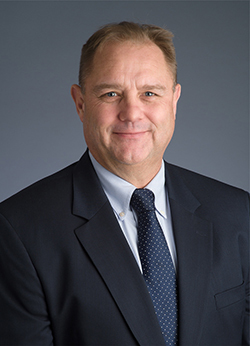 Mr. Coursen has more than 30 years of experience in civil engineering and land surveying, including more than 25 years as a professional surveyor and 20 years as a professional engineer. His experience includes topographic and outbound surveying for engineering base mapping (aerial and ground), hydrographic mapping, GPS and LIDAR data collection and analysis, wetland delineation location, elevation certificates, outbound surveys for title transfer, parcel mapping, ROW determinations, and construction stake-out services and also performs site and development design layout, grading, stormwater, and utility design. He is responsible for Churchill’s land surveying and mapping services for the New Jersey Turnpike Authority (NJTA) and Department of Transportation, including many major highway and bridge design and construction verification survey projects on the Turnpike, Parkway and State highways. Mr. Coursen served as Senior Project Manager for Wyndham Engineering, where he oversaw all work related to residential and commercial site development and served as a Senior Project Manager overseeing Land Development projects for Schoor DePalma where he managed the site development department and a branch office. Andrew Coursen has a Bachelor of Science in Civil Engineering from the University of Vermont. He is a Professional Engineer in New Jersey and a Professional Land Surveyor and a member of the American Society of Civil Engineers and the National Society of Professional Land Surveyors.